We love dunking a crispy tortilla chip into a bowl of cool, creamy, freshly made guacamole. There are a lot of tasty things happening with avocado in 417-land, so we rounded up our five favorite bowls of guacamole from local eateries. 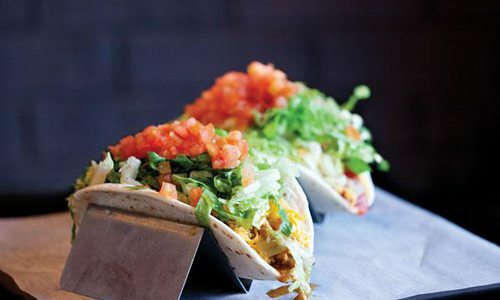 Why It’s Great: This tiny little gem of a bar that sits alongside Galloway Creek serves up some fantastic guacamole. It’s a traditional variety, with lots of creamy fresh avocado and just the right amount of kick. But what takes this guacamole to the next level is the dipping vehicle. Be sure to get some of the delicious homemade freshly fried flour tortilla wedges—they are a totally different experience than traditional tortilla chips. Order It With: An ice-cold beer. Why It’s Great: There are six creative varieties of guacamole on the menu at Springfield Gourmet Taco Company, and every one of them is delicious. The New Mexico features Hatch green chilis. The Texas is served over Texas Chili Frito Pie. 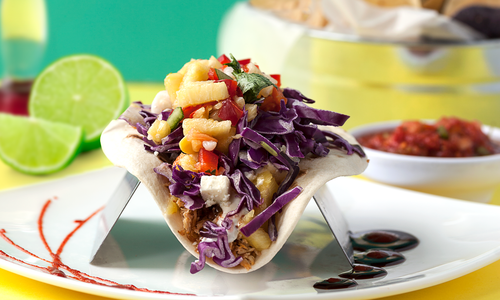 The Arizona brings in poblano-apple pico, and the California features a pineapple and sweet pepper salsa. Chopped up jalapeño poppers fill the Ozarks variety. And if all of that sounds way too far out of the guacamole box for you, order the Traditional with lime, cilantro and tomato. Order It With: A spicy bowl of posole soup. 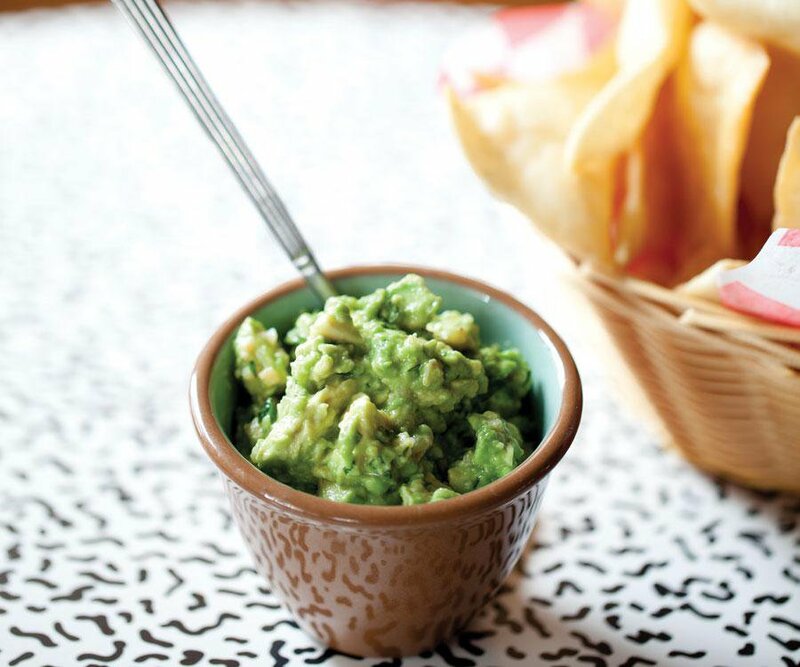 Why It’s Great: We love that they make the Top Shelf Guacamole tableside at Cantina Laredo. It’s kind of their thing. You get to see your fresh avocados blended with all the ingredients you request, right in a cute little stone molcajete. We like to order it with plenty of jalapeños and pepper. Order It With: The Queso Laredo cheese dip. Between that, your guac and the two salsas that come with the meal, you and your fellow diners will have a dipping feast. Why It’s Great: It’s always a fun discovery when we find quality guacamole on a non-Mexican menu. At Flo, the guacamole is made with fresh avocados for that just-made creamy goodness. Bonus: It comes with tortilla chips and cheese dip! Cheese dip with my avocado dip? Why not? The tasty guacamole is also served on the Flo Style Tacos appetizer. Order It With: A few more of the social plates to share with friends—mini kobe beef burgers and truffle-scented popcorn are good picks. Why It’s Great: At Iguana Roja, you get to fashion your own guacamole. 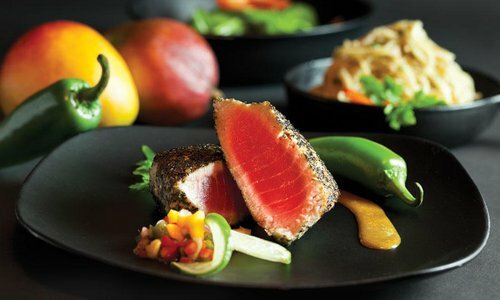 Just check off the ingredients you want from the little paper menu, and your server will whip up the dip tableside. As an extra bonus, the chips are seasoned with Fairy Dust, a tasty sprinkling of toasted and ground spices. You can even have them add Fairy Dust to your guac. 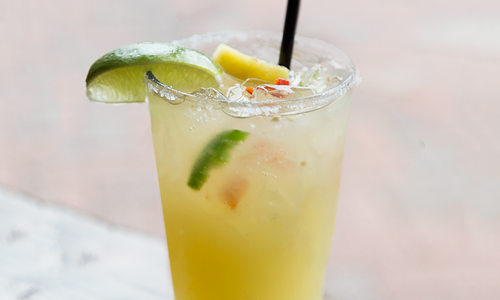 Order It With: An Iguana Roja Margarita made with pineapple- and vanilla-infused tequila and jalapeño.